At My.com, we are always looking for new and exciting ways to please our fans and offer them new thrills and reward their loyalty and passion for our games. After years of steady improvement, we are ready to embrace the launch of the myLoot Marketplace, where you will be able to obtain cool exclusive rewards in exchange for myCoins! From July 12, 2018, players with active My.com accounts can head to loot.my.com and purchase additional items for My.com’s PC titles! Also, if you join between July 12, 2018 and July 16, 2018, you will receive a Welcome Gift of 60 myCoins! MyCoins is a universal currency that can be spent exclusively in the myLoot Marketplace and is gifted to players per item purchased on the platform and given as a reward in different events and activities around all your favorite my.com games. 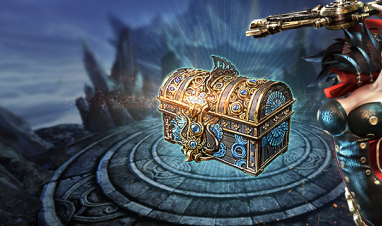 Using your myCoins is the key to getting access to some tremendous rewards in the form of loot chests. These chests can be found either on the myLoot homepage or under the Chests section of a game’s storefront. To learn more about what's in a chest simply click on it, this will launch a small pop up window to show you what’s inside. You will find everything from in-game currency packs to consumables and exclusive skins that can only be found in myCoin chests! To see all the offers available per game, simply click View All. This will redirect you to the marketplace for that game. Make sure to come back regularly as available offers will be regularly updated! Every item purchased in the Shop section of the myLoot Marketplace will grant you myCoins, with the amount of coins earned varying from item to item. 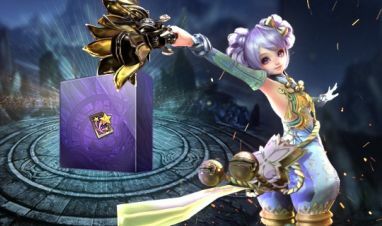 In the chest section, you will be able to redeem your myCoins for different chests with all sorts of rewards, including rare materials and powerful items! Once you have successfully activated them, you will find them in your web inventory, where you can then send them to the avatar of your choice and collect them in the mailbox. There’ll be something new for myCoin collectors to invest in! Grab your Falmari Horn and shout to the world about our new myLoot items!